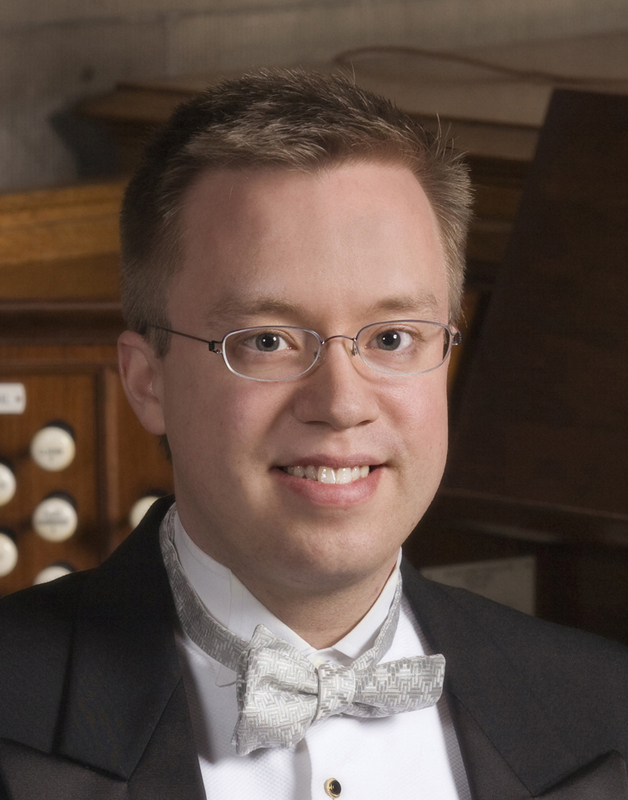 JARED JOHNSON is a Canon Organist and Choirmaster, Trinity Episcopal Cathedral, Columbia, South Carolina. He directs the Cathedral choirs and oversees music for more than 200 liturgies annually. As an organ recitalist he has appeared in major venues throughout North America, Great Britain, Sweden, and Australia. His solo recordings on the Pro Organo and JAV labels have attracted critical praise and have been broadcast nationally on Pipedreams. Mr. Johnson is a graduate of Oberlin College, where he earned a B.A. in English as well as a B.Mus. in Organ Performance under the tutelage of Haskell Thomson. He earned his M.M., M.M.A. and D.M.A. degrees at Yale University as a pupil of Thomas Murray. In 1997, he was awarded a Watson Fellowship for a year’s study of choral music and conducting in London. His academic honors include Oberlin’s Houston Prize in organ and music theory; Yale’s Sherman prize in organ playing; Porter prize for outstanding achievement; St. Luke’s award for service to the Berkeley chapel; and the ISM faculty prize. He is a member of Phi Beta Kappa and Pi Kappa Lambda. In Columbia Dr. Johnson chairs the Artistic Committee of the South Carolina Philharmonic, and was co-chair of the South Carolina Mozart Festival in 2006. Prior to his appointment at Trinity Cathedral, Dr. Johnson served on the music staffs of Trinity Church in Boston; the Memorial Church at Harvard; Trinity Church on the Green in New Haven, Connecticut; and the Berkeley Divinity School at Yale. ANDREW KOTYLO is Organist/Choirmaster at St. Peter’s Catholic Church and School in Columbia, South Carolina, where provides and coordinates the liturgical music for four masses each week. Prior to coming to Columbia in 2016, he had served several churches and cathedrals in New York, Indiana, Texas, and Utah, most recently eight years as Associate Director of Music at the historic Trinity Church on the Green in New Haven, Connecticut. A native of Binghamton, New York, Dr. Kotylo holds degrees from the Indiana University Jacobs School of Music where he studied organ with Christopher Young and Larry Smith and choral conducting with William Jon Gray. Other teachers have included Carolyn Albaugh, the late Searle Wright, Jonathan Biggers, and John Schwandt. His doctoral document concerns the life and organ works of Searle Wright, and he was assisted in his research by a grant through the American Guild of Organists National Library at Boston University given by the widow of E. Power Biggs. Dr. Kotylo has concertized throughout the United States and in England, with performances at conventions of the American Guild of Organists and Association of Anglican Musicians that have earned critical acclaim. He has also been a top prize-winner in numerous competitions, including the American Guild of Organists' National Young Artists Competition and Poister Competition and has been featured several times on American Public Media's Pipedreams. Dr. Kotylo has been active as a private teacher, competition adjudicator, and has been a faculty member for A.G.O. Pipe Organ Encounters He is a frequent workshop presenter for the A.G.O. and he has as served as a chapter dean and as program co-chair for the 2015 Region I Convention. He lives in Columbia with his wife, Andrea Boudra Kotylo, and daughters, Eleanor and Emily. CHARLES TOMPKINS is recognized as one of America's most outstanding organ teachers and concert organists. A member of the Furman faculty since 1986, his students have gained admission to major graduate schools in organ performance - including Yale University, Indiana University, and Florida State University - and may be found in significant church and university positions throughout the country. A graduate of the Eastman School of Music (University of Rochester) and the University of Michigan, Tompkins is an active recitalist, performing at prestigious venues in both the United States and abroad every year. Recent international engagements have included recitals at Notre Dame Cathedral, Paris and St. Paul's Cathedral, London. 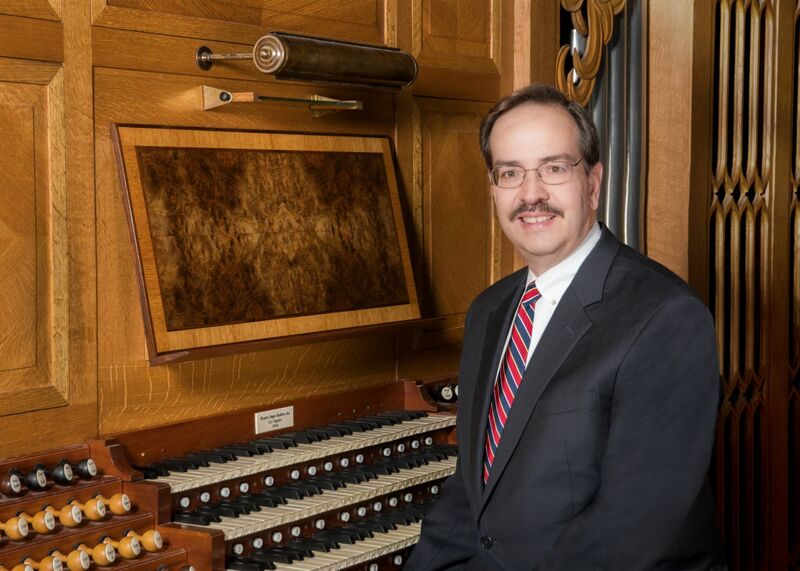 He has performed at national and regional conventions of the American Guild of Organists, the Association of Anglican Musicians, the Music Teachers National Association, and the College Music Society. His performances have also been broadcast nationally on American Public Media's PIPEDREAMS radio program. 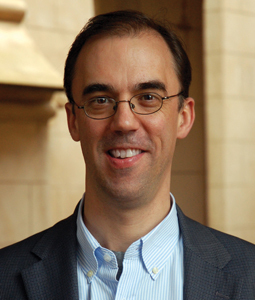 An active church musician throughout his career, Tompkins currently serves as Associate Organist and Artist in Residence for Christ Church (Episcopal) in Greenville. He has served as consultant for a number of outstanding organs, including Furman's magnificent Hartness Organ, a 42-stop instrument by C.B. Fisk organbuilders (Opus 121). “I want to bring the pipe organ to a broader audience and, with my performance make people feel good”. NICOLE KELLER is an active solo and chamber music recitalist and clinician in the United States and abroad. She is on faculty at the Baldwin Wallace University Conservatory of Music in Berea, Ohio, home of the internationally renowned Riemenschneider Bach Institute, where she teaches organ and harpsichord. She serves as Associate Organist at Trinity Cathedral, Cleveland. Nicole's extensive church music experience includes work with volunteer and professional choirs and instrumental ensembles devoted to the highest level of music for worship. She is devoted to the development of amateur and volunteer choristers and musicians of every age level. Nicole has created organ and choral scholar programs at small to mid-size parishes, developed successful children's choir programs, and has led choirs on tour in the states and abroad including choral residencies at Bristol Cathedral, U.K. and St. Patrick’s Cathedral, Dublin, Ireland. Nicole received the Performer’s Certificate and the Master of Music Degree in Organ Performance and Literature at the Eastman School of Music in Rochester, New York under the tutelage of David Higgs. While at Eastman, she studied continuo with Arthur Haas and improvisation with Gerre Hancock. She received the Bachelor of Music Degree in Piano Performance from the Baldwin Wallace Conservatory of Music studying piano with George Cherry and Jean Stell and organ with Margaret Scharf. NIGEL POTTS has become renowned worldwide as “a consummate musician who knows how to communicate the essence of [the] music” (The American Organist), whose “playing is assured and stylish” (Organists' Review, UK), and for his “broad command of tonal color” (The New Mexican). He has built a reputation for his expressive, colorful and tasteful performances, always communicating and placing the music at the forefront with “…warm, sympathetic playing” (Choir & Organ, UK). Nigel has performed recitals across four continents, and extensively across North America, including distinguished venues in London, Cambridge (UK), Paris, Toronto, New York, Washington DC, Salt Lake City, San Francisco, Hong Kong, Singapore and Sydney, as well as in Austria, Iceland, Taiwan, New Zealand and the Bahamas. 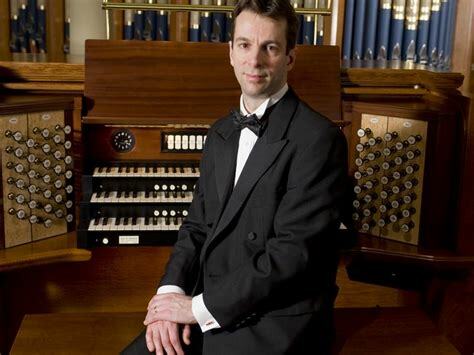 A respected champion of 19th & 20th century British organ music, Nigel Potts has performed Percy Whitlock and Edward Elgar concerts celebrating the composers’ Centenary and 150th Anniversaries respectively, and was invited to perform the Elgar Organ Sonata at the first ever North American Conference of the Elgar Society. Nigel’s recitals and recordings have been broadcast on radio/web stations in various countries including Pipedreams in the USA, and can be heard on-line and on You-Tube. An advocate of new music, Nigel Potts is the dedicatee of several organ compositions by the British composer Paul Spicer, including Saraband for any 3rd October (premièred at Westminster Abbey) and March for the Retreat of the Governor of Hong Kong (premièred at the Hong Kong Cultural Centre). He has also commissioned choral music for his choirs from prominent American and British composers such as Robert Lehman, Bruce Neswick, Paul Spicer and Richard Webster. Nigel Potts studied organ with Thomas Murray at Yale University where he graduated with a Master of Music Degree. He also holds diplomas from the Conservatorium of Music in Wellington and Trinity College of Music, London. Whilst living in London he studied Church Music at the Royal Academy of Music, and studied organ with Jeremy Filsell and the late John Scott. A recipient of the Gillian Weir Waitangi Foundation Scholarship, Nigel has held Cathedral Organ Scholarships in New Zealand and England. Nigel Potts is Canon Organist & Master of the Music at Grace Church Cathedral in Charleston, SC. Previously, Nigel served for nine years as Organist & Choirmaster of Christ & Saint Stephen’s Episcopal Church in New York City, where he oversaw the installation of the new Schoenstein organ and was a member of the music staff at the Saint Thomas Choir School. Nigel has served on the NYC AGO Board, has presented workshops and masterclasses to various AGO Chapters across the USA and in Asia, as well has having been on the Jury for the last two Asian International Organ Competitions. As a Rotarian, Nigel has given benefit concerts to raise funds for children from developing countries to have critical heart surgeries in New York. Originally from Greenville, SC, CAROLINE ROBINSON is a doctoral candidate in the studio of David Higgs at the Eastman School of Music. Caroline earned the Master of Music in Organ Performance in Literature at Eastman in 2016. Caroline completed her undergraduate work at the Curtis Institute of Music, where she studied with Alan Morrison. Aided by a grant from the J. William Fulbright fellowship fund, Caroline studied during the 2013-14 year at the Conservatoire à Rayonnement Régional de Toulouse with Michel Bouvard and Jan Willem Jansen (organ) and Yasuko Bouvard (harpsichord). Formative organ teachers include Adam Pajan, Charles Tompkins (Furman University), Wilma Jensen (Nashville, TN), and Thomas Bara (Interlochen Center for the Arts). Caroline has been featured as a solo recitalist in many venues across the United States, including at the Cathedral of St. Philip in Atlanta, St. Thomas Fifth Avenue, St. John the Divine, St. Patrick’s Cathedral, NYC, and The Cathedral of St. James, LA. 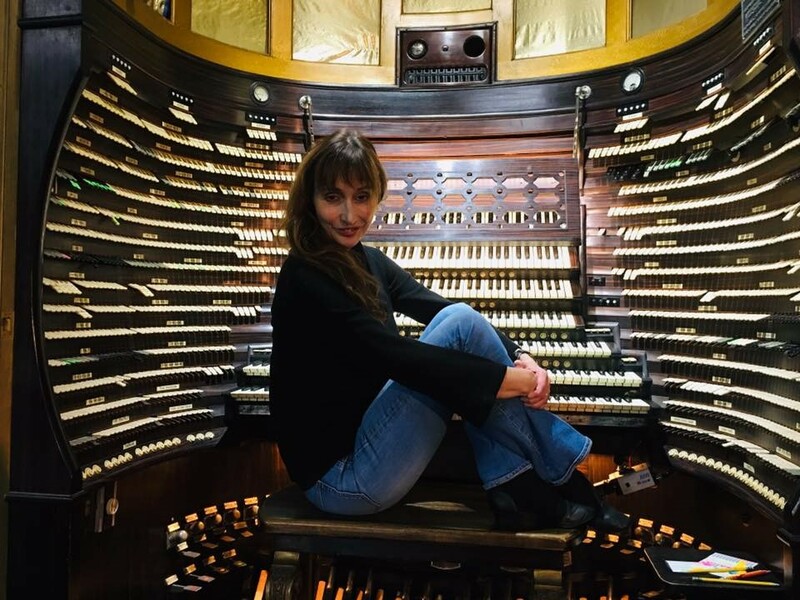 Her playing has been broadcast on American Public Media’s “Pipedreams”, “Pipedreams LIVE!”, and Philadelphia-based public radio station 90.1 WRTI’s Wanamaker Organ Hour. She performed at the 2015 AGO Region III Convention and at several OHS Conventions. Fall 2018 includes solo engagements in Boston, MA; Carnegie, PA; and Birmingham, AL. 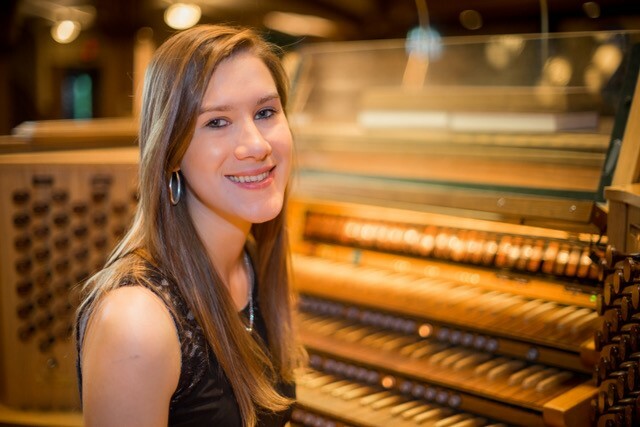 Caroline is the Second Prize Winner of the National Young Artists Competition in Organ Performance (NYACOP), held as part of the 2018 AGO Convention in Kansas City. Caroline is the First Prize winner of the 11th annual Albert Schweitzer Organ Festival (2008) and the 10th annual West Chester University Organ Competition (2010). She was a semifinalist in the 2014 Dublin International Organ Competition. Caroline holds the position of Minister of Music at St. Paul’s Lutheran Church in Pittsford (near Rochester), NY. 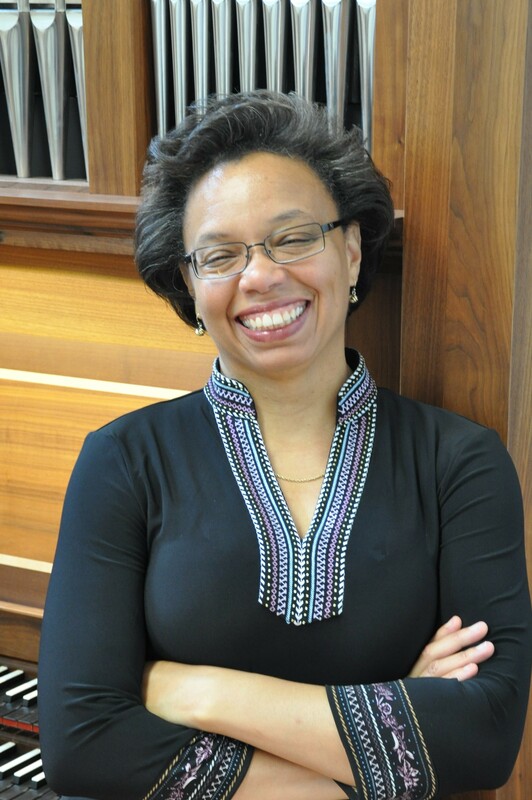 Previously, she served as Assistant Organist at Third Presbyterian Church in Rochester, under the leadership of Director of Music Peter DuBois. Additionally, Caroline contributes to the mission of the Eastman Rochester Organ Initiative (EROI), helping to coordinate outreach events and scholarly conferences launched by the Initiative. Passionate about both performing and teaching, Caroline is pursuing a Masters in Theory Pedagogy at Eastman concurrently with her organ studies. Throughout the course of this degree, she will teach the entire first- and second-year theory curriculum to Eastman undergraduates and investigate higher-level theory topics in the requisite coursework. The CAROLINA MASTER CHORALE is recognized as the premiere symphonic chorus in the region covering northeast South Carolina and southeast North Carolina and holds the distinction of being the longest running community vocal organization in the Myrtle Beach area. The CMC is proud to be celebrating their 36th anniversary season in 2018/2019, the 19th under the artistic leadership of the ensemble’s fourth and current Music Director, Dr. Timothy Koch. The repertoire of the Carolina Master Chorale encompasses a wide variety of innovative and critically acclaimed programming including performances of traditional and lesser-known choral and choral/orchestral masterworks, full operatic productions, adventurous contemporary music, numerous commissions and premieres, as well as lighter fare ranging from Broadway to vocal jazz and gospel music. The LONG BAY SYMPHONIC SOCIETY was founded in 1987 by Dr. Diana Swanner-Scroggins, a local music storeowner. She determined the need for a local symphony orchestra after many customers, both music lovers and musicians, related their interests in such an organization. The first auditions for the Long Bay Symphony produced a core of 36 musicians who performed together for the first time in April of 1988 in Wheelwright Auditorium on the campus of Coastal Carolina College. Dr. Won-Mo Kim was engaged as the first Music Director/Conductor of the Long Bay Symphony and served in that post through the 1994-95 season. After his seven-year tenure, the orchestra underwent an extensive conductor search, awarding Dr. Charles Jones Evans the position of Music Director/Conductor starting in the 1996-97 season. Evans has been the creative force behind the Symphony for the past 19 years, achieving a high standard of performing excellence and growing the organization’s education and artistic programs. The dedicated members of the Long Bay Symphony Board of Directors and administrative staff continually work to secure for the orchestra a strong administrative and financial base. Additionally, the Long Bay Symphony strives to provide the highest quality educational programs for both young people and adults. Education initiatives include the Long Bay Symphony Youth Orchestra, Musicians in the Schools program, annual Young People’s Concerts, Master Classes, and Pre-Concert lectures. 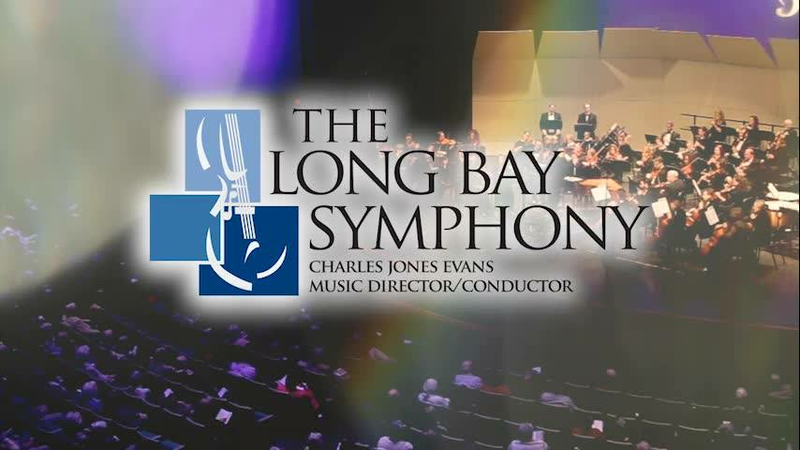 The Long Bay Symphony continually seeks to engage with the local community increasing awareness of the arts and garnering support for its programming. The moniker “Long Bay” was chosen as the name of the symphony based on the geographical region it covers which is roughly a 60 mile coastal area of North and South Carolina, including Brunswick County in NC and Horry and Georgetown counties in SC.